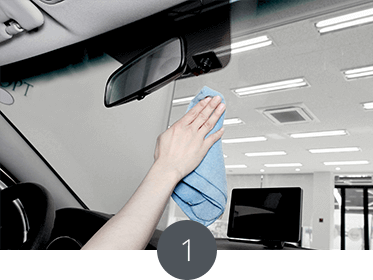 Clean the windshield where the product is to be placed. Line up the lens with the center of the vehicle then place the product on the front window behind the rearview mirror. 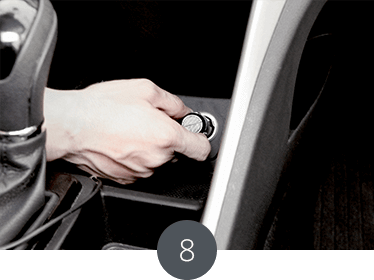 From the outside of the car, check if the lens is located in the middle of the car. Run the cables under the trim. 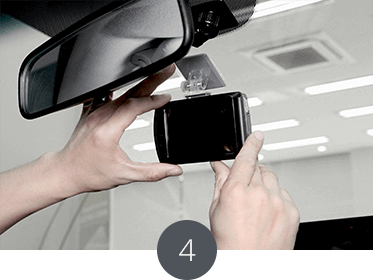 Attach the rear camera on the rear window following the same method as the front camera. Connect the cigar-jack or install the hard wiring cable to vehcle power. Power up the Dash Cam and check videos from the front and rear camera in the Live View mode or using the PC Viewer / Mobile Viewer. 5. Insert the MircoSD Card into the dash cam unit. 6. The device will start upgrading once the voice notification “The upgrade will now start” is played. 7. 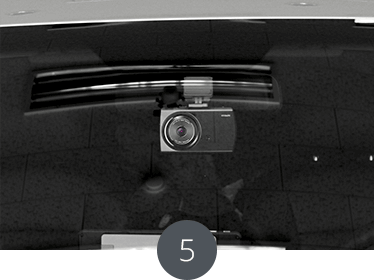 When complete, the dash cam will operate with the latest firmware. 1. Go onto Thinkware.com website and go into support http://www.thinkware.com/Support/Download. 2. Select the series and model you are using. If the F550 is selected, all of the download links will say F550 on the bottom. 3. Download the firmware that is available. 4. Once the new firmware is downloaded, unzip the downloaded file into the root directory of your MicroSD Card. 5. 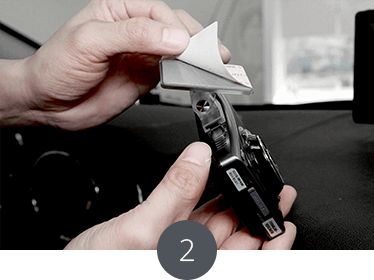 Insert the memory card into the dash cam and power it on. 6. 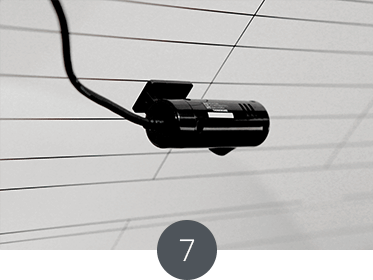 Your dash cam LED lights should blink for a while, as the firmware upgrade may take up to 10 to 15 minutes. 7. Once the dash cam is done upgrading it will tell you that "Upgrade is now complete, continuous recording will now start." 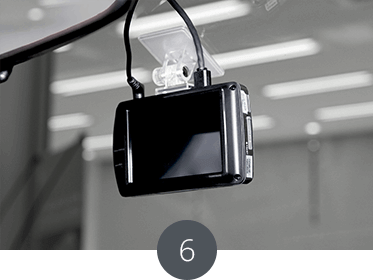 Do not power off your dash cam until it begins continuous recording as it may cause permanent damage to the dash cam. 4. The device will start recording and operate with the latest speed camera data. If your country of residence is outside the supported regions for speed and red light camera alerts, or if you wish to disable the alerts altogether, please skip the steps above. Please Note: Thinkware Australia does not provide support to international warranties.